After 'Best Year Since 2005,' Housing Sector Likely To Slow : The Two-Way Prices rose more than 13 percent in major cities across the nation in 2013. But there are signs that the best gains are behind for that key part of the economy. A home for sale earlier this month in San Francisco. Home prices across 20 of the nation's major metropolitan areas rose 13.4 percent in 2013 from the year before, according to the latest S&P/Case-Shiller Home Price Index report. Overall, according to S&P Dow Jones Indices economist David Blitzer, the index "ended its best year since 2005" — well before the burst of the housing bubble in 2007-08. But, Blitzer warns, "gains are slowing from month-to-month and the strongest part of the recovery in home values may be over." 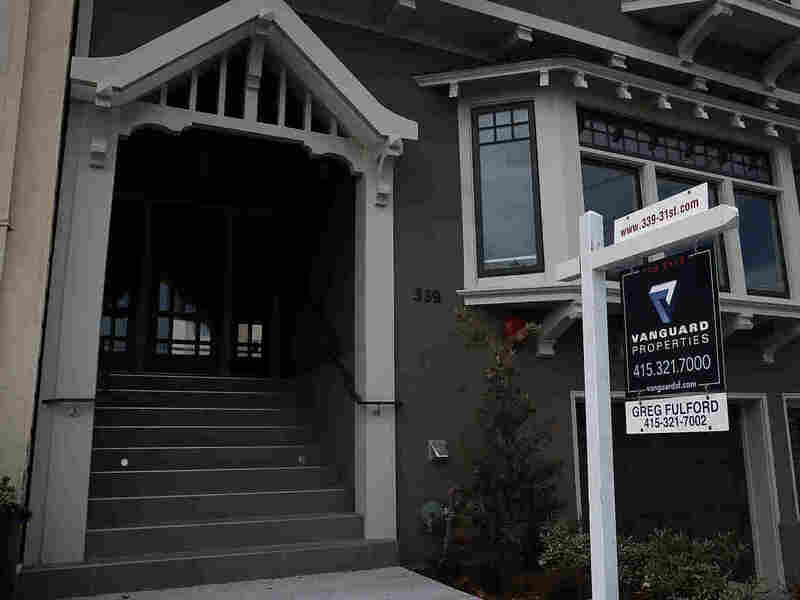 "Recent economic reports suggest a bleaker picture for housing. Existing home sales fell 5.1 percent in January from December to the slowest pace in over a year. Permits for new residential construction and housing starts were both down and below expectations. Some of the weakness reflects the cold weather in much of the country. However, higher home prices and mortgage rates are taking a toll on affordability."